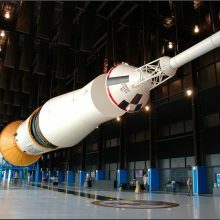 The Saturn V Rocket located at the US Space and Rocket Center (USSRC) in Huntsville, Alabama, is one of three surviving examples of vehicles built during the late 1960s to launch Americans to the moon. 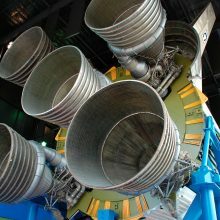 The USSRC Saturn V 500D/F is designated a National Historic Landmark as well as a National Mechanical Engineering Landmark, and it is distinguished from the others as the test model for the fleet. Measuring 363-feet long (the Statue of Liberty is 60 feet shorter) and capable of generating 7. 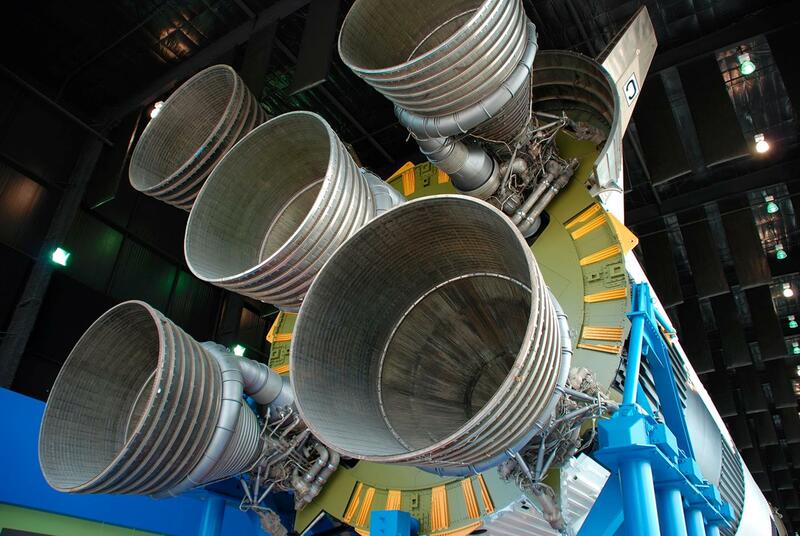 5 million pounds of thrust, the Saturn V remains the largest, most powerful American launch vehicle ever built. 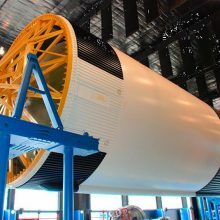 We evaluated the rocket through a thorough assessment and testing phase occurring from April through May 2005. A visual and hands-on survey by our conservators and a structural engineer was conducted from the ground and from a 60 foot articulating manlift. 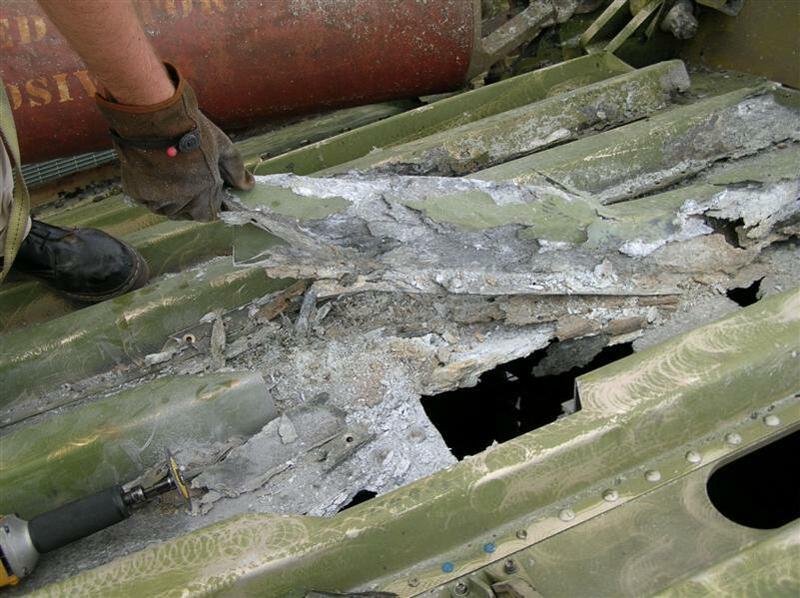 Select access panels and tunnel covers were removed to probe interior systems and fuel tanks. Observed conditions were noted onto AutoCAD drawings produced by us for the survey. The purpose of the testing program was to assist in determining the condition of materials present, identify root causes of observed deterioration, and provide appropriate methods of intervention and repair to reduce or arrest the rate at which the materials were deteriorating. Throughout the assessment, representative material samples were removed from the vehicle for testing including paint layers, powder corrosion products, and microbiological specimens. On- and off-site testing was performed to determine the safest and most successful methods to remove coatings, corrosion, soiling, surface contaminants (salts) and repair losses. 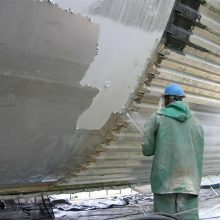 Paint coatings and loose corrosion products were removed using high pressure waterjets (>25,000 psig). More fragile materials were stripped of coatings using chemical gels. 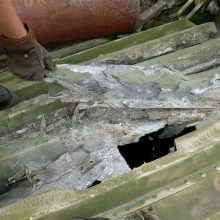 Corrosion was treated by mechanical removal and/or the use of chemical metal brighteners. Metal failures were repaired inkind with new aluminum. 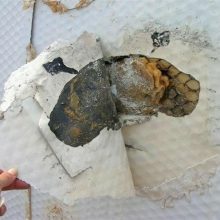 The heavily saturated Tedlar ® covered foam insulation of Stage II was dried in a custom-built dehumidification tent. 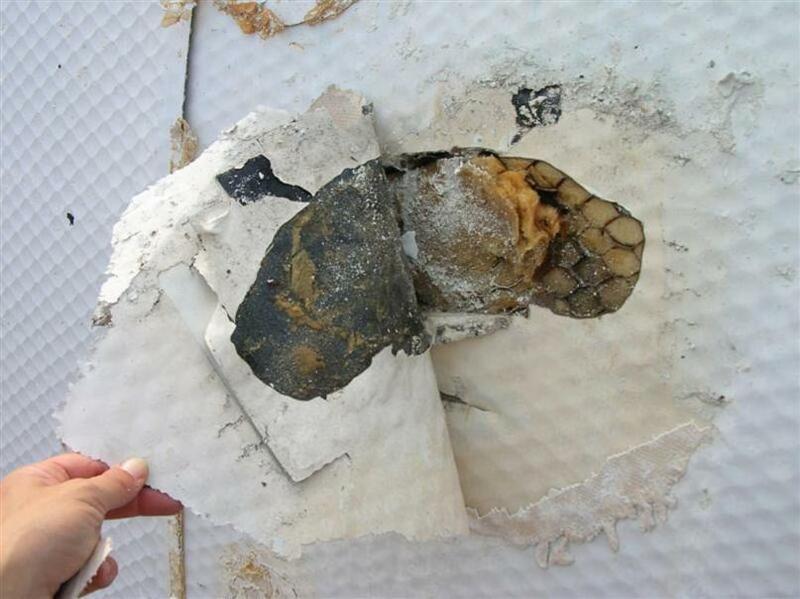 Losses to the foam and other non-metal components were filled with an inert patching material and joints in the Tedlar® skin were sealed with Tedlar® tape. 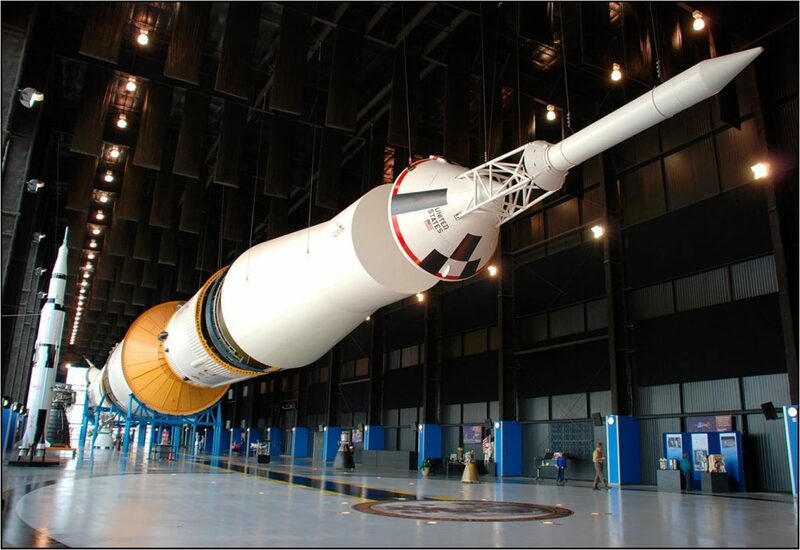 After all repairs were complete, the rocket was primed and painted to match the historical color and scheme determined through the paint analysis and historic research. Matching decals were custom made and installed over the paint system. 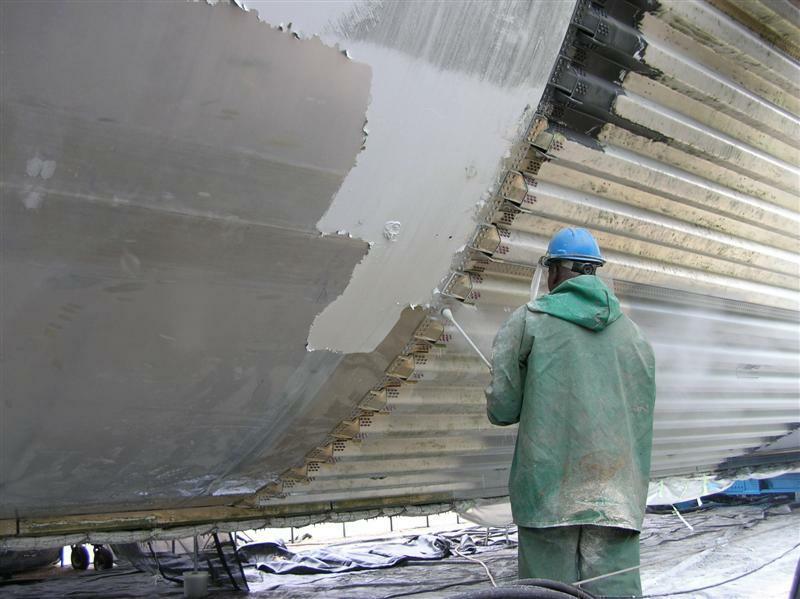 Bare metals were protected with a clear, vapor phase corrosion inhibitor (VPCI) coating. 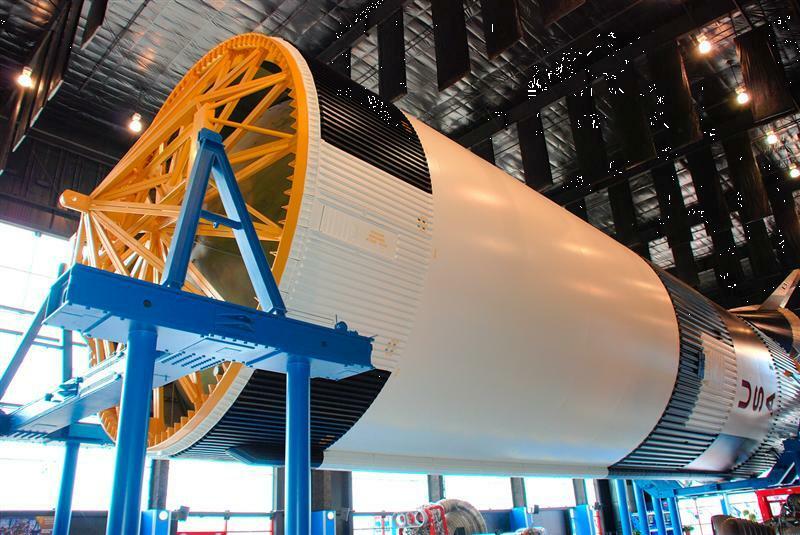 A boilerplate Command Module (unmanned test capsule) which was located at NASA Marshall Space Flight Center was loaned to USSRC for the new display. Painted. Treatment occurred in two phases: June 2005 through December 2005 and August 2007 through January 2008. 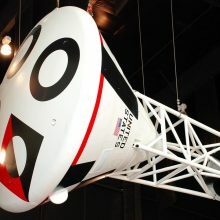 In the interim a new, indoor museum facility, the Davidson Center for Space Exploration and Research, was constructed. 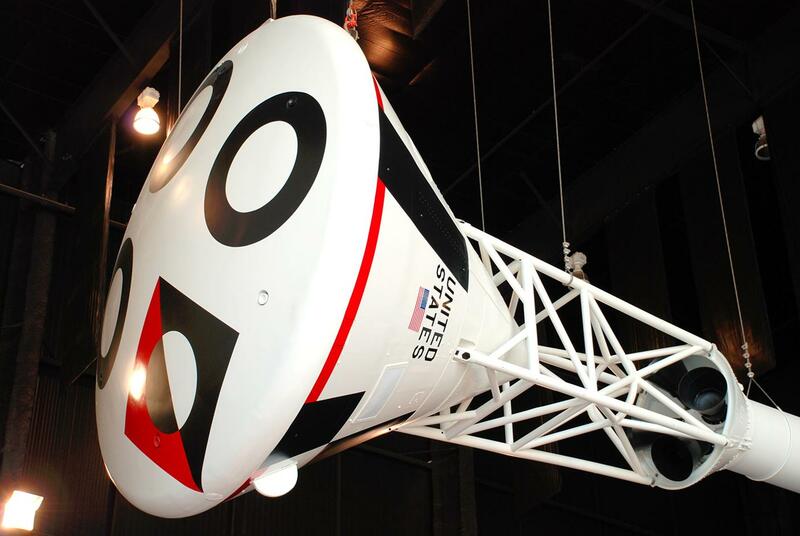 We oversaw the painstaking disassembly, relocation, and reassembly of rocket, and worked with the client to design the display of this incomparable artifact.